I can handle all of your painting needs. You may have noticed that most painting contractors, or any contractors for that matter, take a transactional approach to sales—identifying clients, closing the deal, cranking out a job and then moving on to the next one. You don’t hear from them again… unless maybe they’ve come back to ask for more work. I choose not to work that way because I believe you deserve more from the professional you decide to work with. That is why I work by referral. Since my primary source of new business is referrals from people who know and trust me, I dedicate myself fully to the activities that benefit you most, and strive to deliver truly exceptional service. Full service retail hardware store - automotive, electrical, plumbing, paint, general hardware, lawn & garden, indoor garden center, power tools & equipment, rental, handyman service & more! McBride Bros., Inc. has been meeting the residential painting and wall covering needs of Lima, Allen County and the surrounding area for over 30 years. We take great pride in assisting home owners make their wall finish selections and have an extensive library of wall covering samples and paint color selection guides from all of the major suppliers available in the industry. 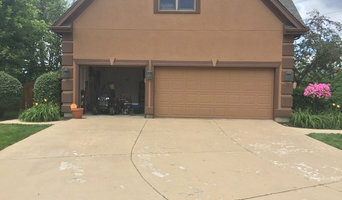 Our professional staff of mechanics and installers will complete the transformation of your home with a minimal impact to your day to day activities. 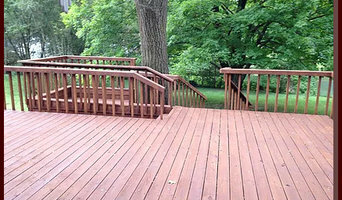 We offer free estimates for the work you are considering and stand behind our work with a satisfaction guarantee for one year for our workmanship. Word of mouth is the best advertisement, and McBride Bros., Inc. has established itself as a leader in the region for quality, competitiveness and reliability. Stop in, call or e-mail our office to schedule an appointment to discuss your plans. Our Finish Shop capabilities make it possible for us to match just about any stain color and type of finish. Bringing your trim package, cabinets, doors, windows, siding and other home furnishings to our Finish Shop will give you a professional, pre-finished coating that most of the home builders in the region already use. We will match the right product to the use to make sure your needs are met the first time every time. Full service wall coverings from painting to wall paper with a specialty in vinyl wall art. Many builders, designers and DIY experts say that painting is one of the easiest tasks for a homeowner to handle. But plenty of prep work, elbow grease and finesse are involved, and if you don’t have the time, ability or inclination to complete a painting job, hiring a Union City professional is the way to go. Plus, speciality paint treatments, wallpaper and other wall coverings, such as grass cloth, are tricky. 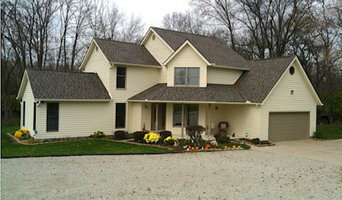 Your Union City, OH home may need help from an Ohio pro to make any of those happen. Paint and wall covering contractors are experts in the specs, application and removal of paint, wallpaper and other wall coverings. They can help you choose the paint color and finish, wallpaper style or specialty covering that best suits the needs of your Union City, OH home, whether the job is for the interior or exterior. In addition, they can strip off old paint or paper and prepare surfaces through sanding, skim coating and other processes. Many can handle decorative paint treatments and materials such as plaster. A paint and wall covering contractor might work closely with Union City, OH interior designers, builders and others, too. Here are some related professionals and vendors to complement the work of paint & wall covering dealers: Interior Designers & Decorators, Artists & Artisans, Window Treatments, Carpet Dealers. Find a paint and wall covering contractor on Houzz. 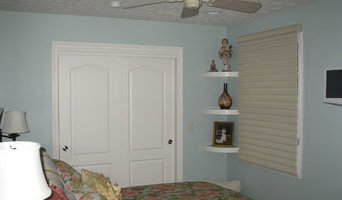 Narrow your search in the Professionals section of the website to Union City, OH paint and wall coverings. You can also look through Union City, OH photos to find examples of paint jobs and wall coverings that you like, then contact the professional who worked on them.